I mentioned graffiti, and its often un-artistic form, in the previous post. This photo is taken at the Kuilsrivier crossing of the N1 national highway - about 30 kilometres from the city centre. 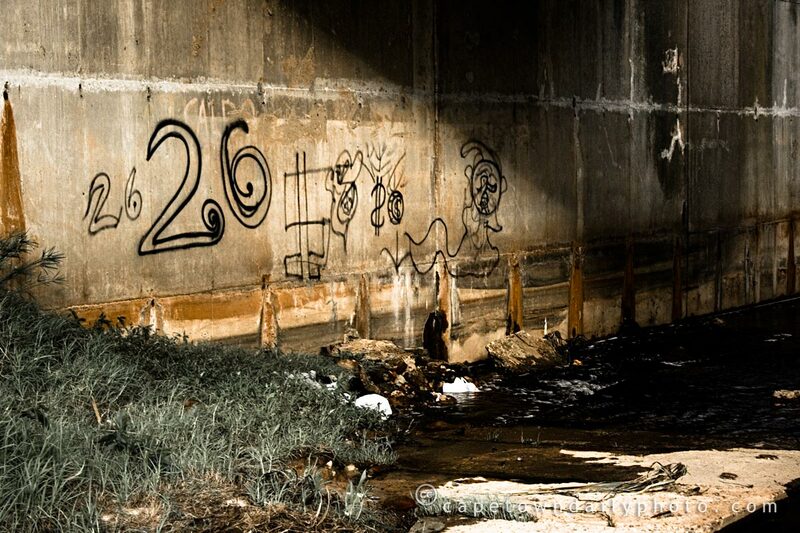 Reflecting on the photo caused me to wonder if the 26 painted on the wall was a reference to the 26s prison gang prevalent in the Cape Town area. As I understand it, the 26s, 27s and 28s are three prison gangs with different roles. I won't get into it now, but it seems as though the 26s are focused on accumulating wealth "which was to be distributed among all three segments, through cunning and trickery but never violence", according to this article. Posted in General and tagged bridge, graffiti, river on Thursday, 2 July, 2009 by Paul.